Reference XLR 40 builds on the multi-award winning Audio 40 range of products, now available in Digital AES/EBU form. 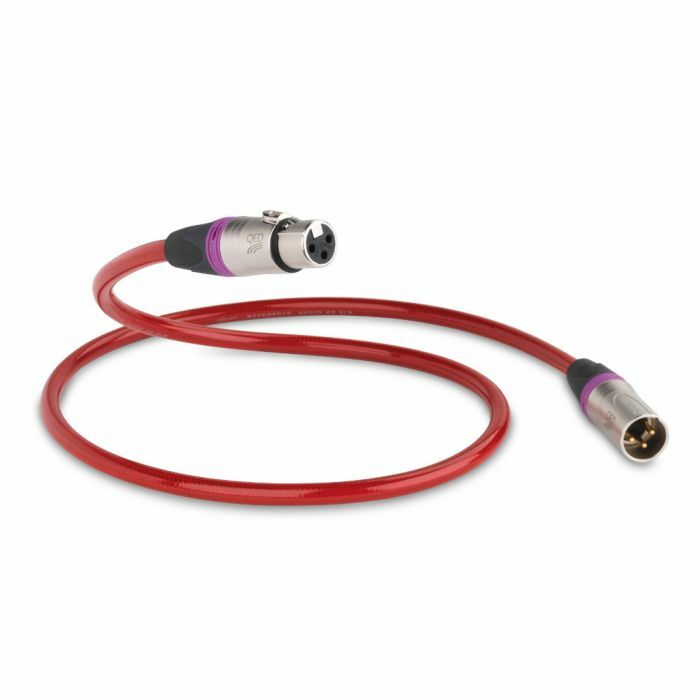 XLR 40 is designed primarily for low jitter as this has been identified by QED as a major factor which leads to a high fidelity experience. Further steps have been taken to eliminate minute timing errors in the cable by the use of a special floating Zn/Mn ferrite jacket alongside use of QEDs unique 'Tri-Conductortm' technology that reduces signal to ground capacitance to vanishingly low levels. Absorbs high frequency noise signal components outside the audio band. When measured using high frequency measurement equipment, Audio 40 products convey a comparably cleaner and tighter signal pattern when its special Zn/Mn ferrite jacket is present. This has a beneficial effect on audio signal micro-timing, reducing digital jitter and timing errors to an ultra low level. QEDs unique Tri-Conductor technology uses a third Silver plated 99.999% OFC conductor which is integrally twisted alongside the similarly constructed signal pair to carry the ground return currents. This reduces signal to ground capacitance to vanishingly low levels affording the cable improved common mode rejection of mains hum pickup over ordinary "hot cold and screen" cables. This geometry is particularly effective in pro hi-fi audio applications when connecting pre and power amps using balanced cables or high end streamers to DACs using digital XLR AES/EBU.